Owners of the £99 Tesco Hudl tablet should think twice before selling it on, after tests showed personal data remains on the device even in the event of a factory reset. The BBC worked with security expect Ken Munro to test Android tablets that had been purchased second hand on auction sites like eBay, including the Hudl. Munro found he was able use a simple piece of software to view retrieve personal data like photos, browsing history web cookies, Wi-Fi keys and the pin codes used to unlock the Hudl. The data could even be used to log in to websites and pose as the previous owner. 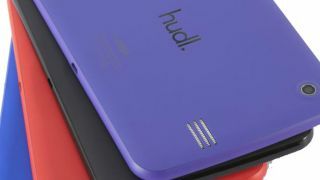 Munro says the flaw is due to a known about bug within the Hudl's Rockchip processor. In response, Tesco advised all customers to use a data wiping app before bestowing the tablet on another owner, and said devices returned to the store would be wiped. A Tesco spokesperson said: "Customers should always ensure all personal information is removed prior to giving away or selling any mobile device. To guarantee this, customers should use a data wipe program." Is Tesco plotting a Hudl phone?